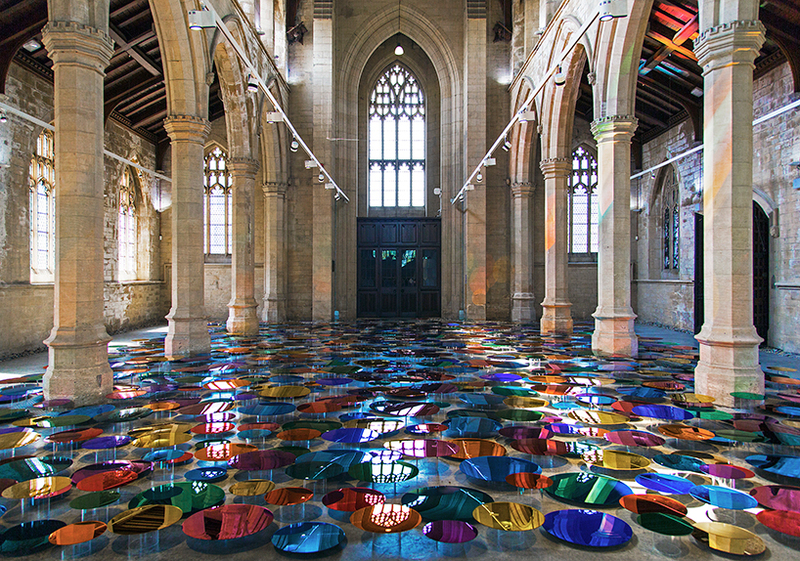 liz west is a british artist best known for creating vivid environments that mix luminous color and radiant light. 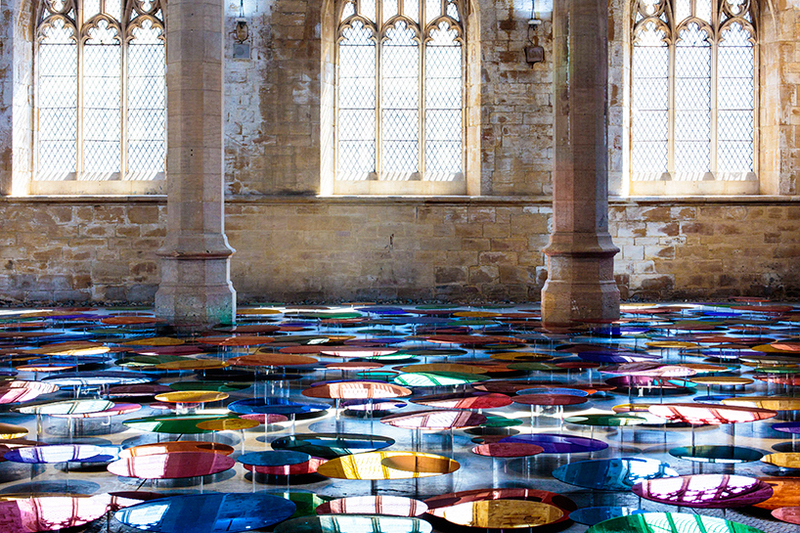 working across a variety of mediums, west aims to provoke a heightened sensory awareness in the viewer through her works and is interested in exploring how sensory phenomena can invoke psychological and physical responses. 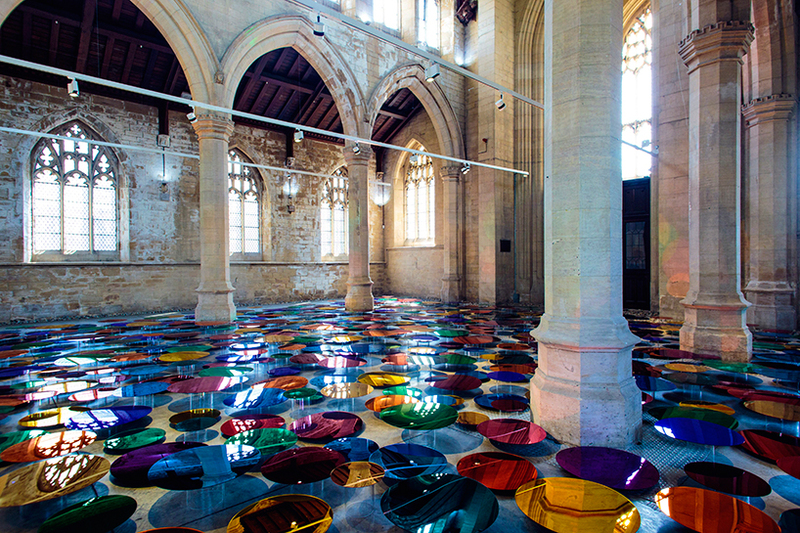 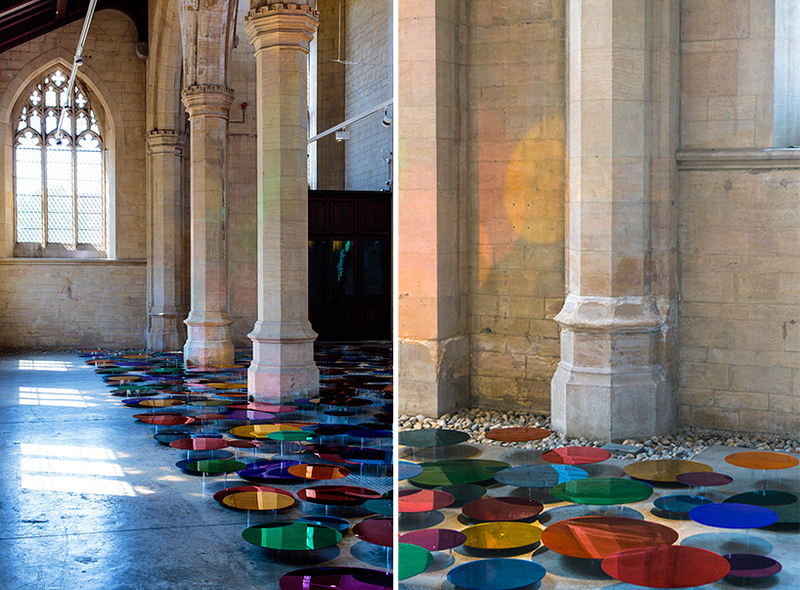 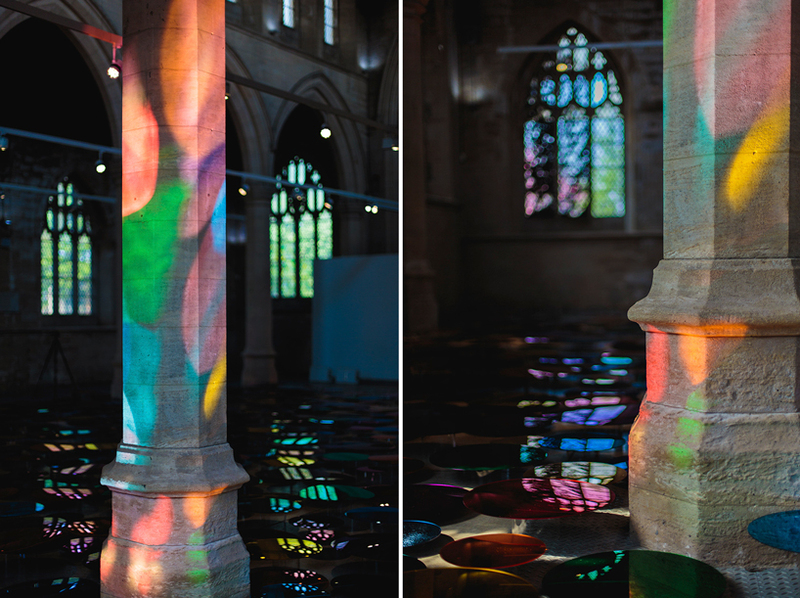 inside the former st john’s church in the english town of scunthorpe, artist liz west has added an immersive spectrum of light and color to the gothic interior landscape. 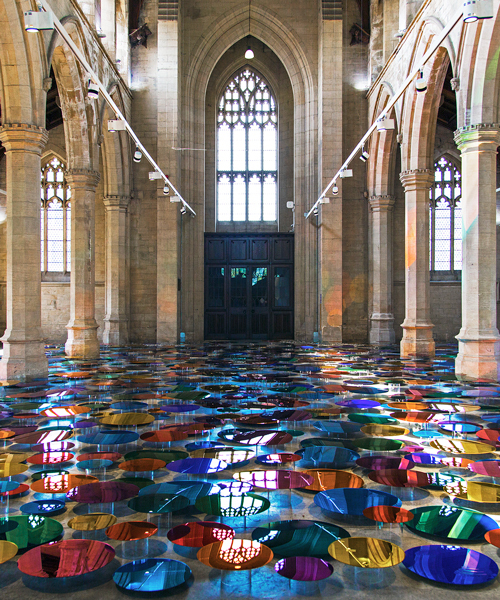 the installation ‘our colour reflection’ — on from now until june 26, 2016 — is housed at the 20-21 visual arts centre, a historic church-turned-exhibition space. 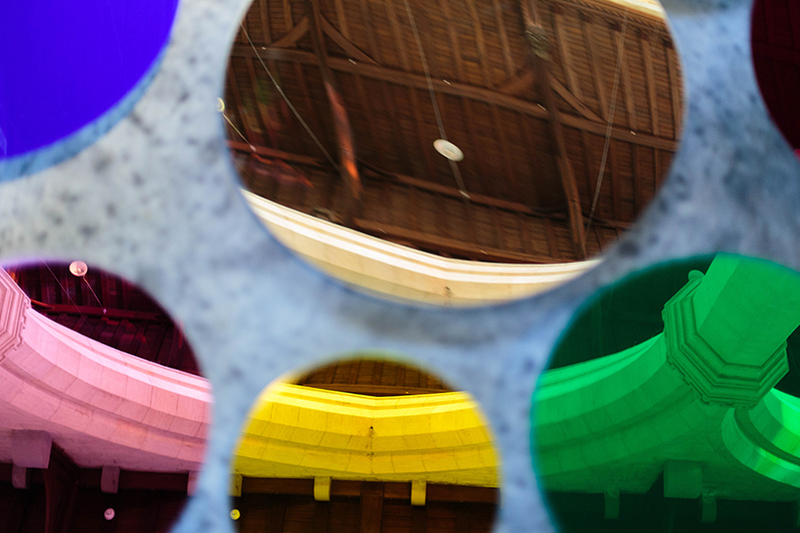 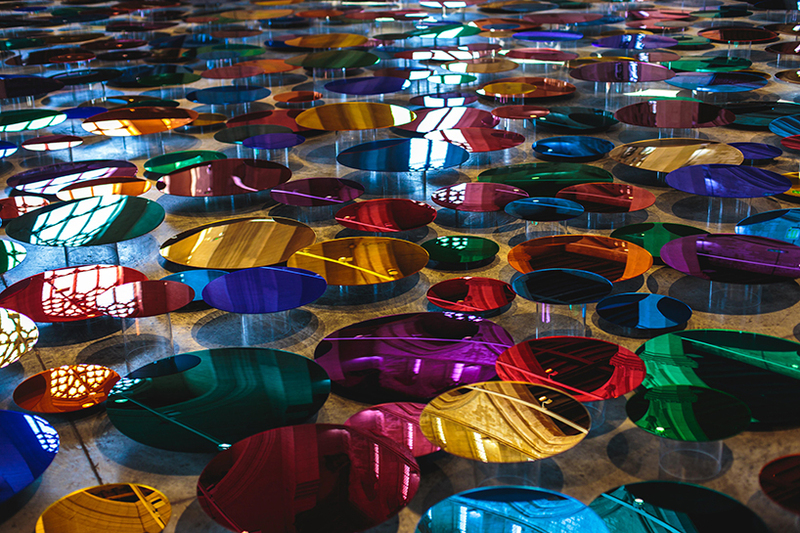 for the site-specific work, west has created a composition of hundreds of mirrored disks that reflect the gallery lighting into the roof space, projecting a spectrum of hues onto the interior beams and archways. 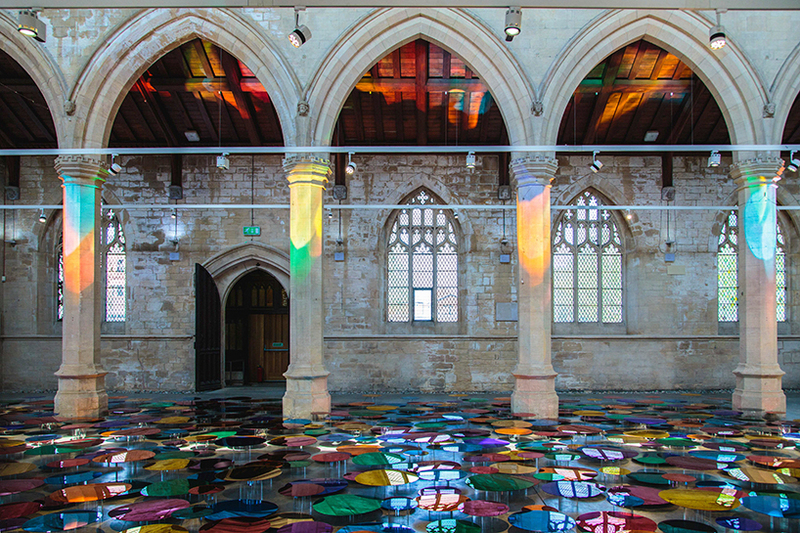 visitors can view their own reflections in the mirrored surfaces as they meander through the space, forming a dialogue between the participant and the architecture of the original site. 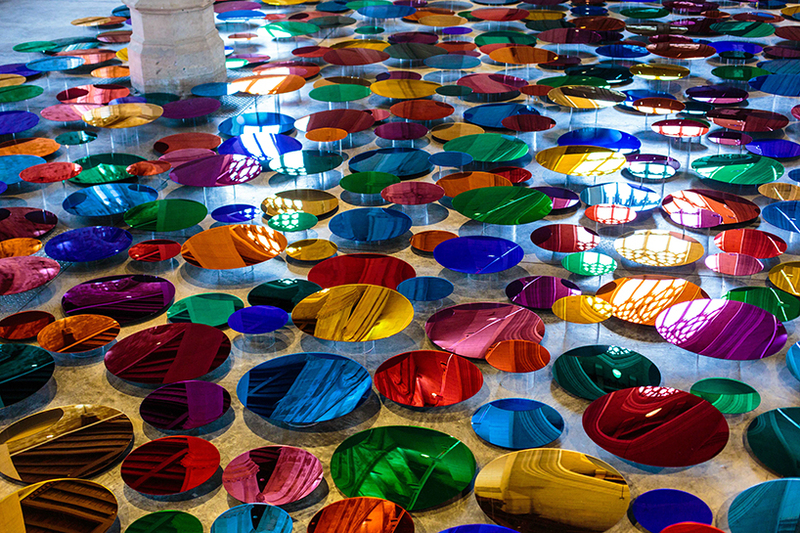 the installation uses the intangible elements of light and color to transform people’s perception and experience of the space. 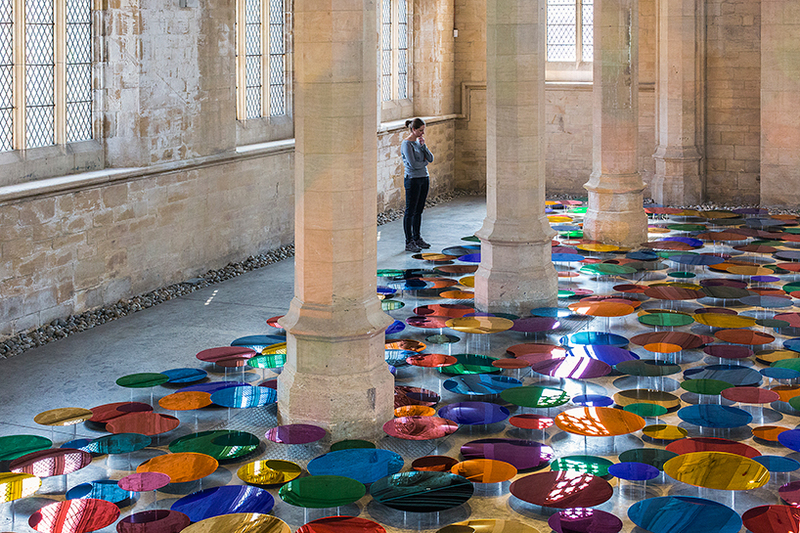 ‘our colour reflection’ aims to bring about a deeper sensory awareness in the viewer, tapping into their innate relationship with chroma, and exploring how it can move viewers emotionally, psychologically and spiritually.